Glass Fibre Panel Filters are a low grade primary filtration solution offering filtration for coarse particulates such as dust, and paint to efficiency of G2 to EN779:2012. Glass Fibre Panel Air Filters are manufactured with a moisture resistant cardboard frame encasing a graduated continuously spun glass filament in a pad form. Glass Panel Air Filters are commonly used in general heating and ventilation systems, factories and workshops, coarse filtration for machinery and paint spray booths. 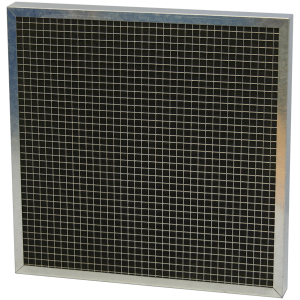 Synthetic Panel Air Filters are a low to medium efficiency air filter for the filtration of large particulates to an efficiency up to G4 to EN779:2012. 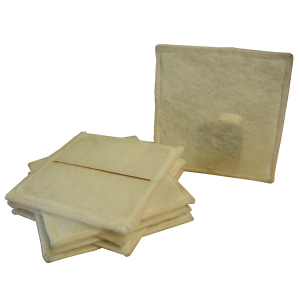 Quality synthetic filtration media pads are supported within a moisture resistant cardboard frame. Synthetic Panel Filters are commonly used in general ventilation systems to protect duct mounted equipment, and provide a low grade of indoor air quality. Pleated Panel Air Filters are amongst the most common air filters seen used in heating and ventilation systems and mounted in air handling units. The low to medium grade pleated panel air filter offers an efficiency of G4 to EN779:2012, and by using a pleated media on a supporting wire offers a large surface area minimising pressure drops. Pleated filtration material is sealed and fixed into moisture resistant cardboard frames to give a rigid long lasting panel air filter of various thicknesses. 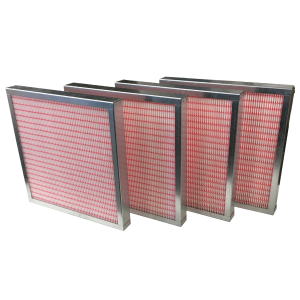 MiniCell Panel Air Filters are available in various grades including M5, M6, F7, F8 and F9 to EN779 giving a panel filter solution to higher efficiencies usually only attained by Bag Filters. Using mini pleat technology, high efficiency filtration packs are manufactured from either synthetic or glass media and sealed into either cardboard or metal frames depending on the application. 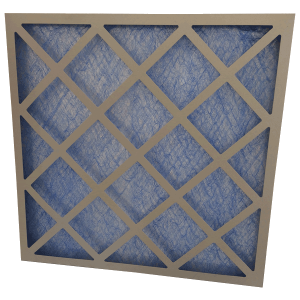 Pad Holding Frames offer an alternative solution to both glass and synthetic panel air filters, but using a metal frame rather than a cardboard frame. A galvanised steel frame incorporates a face clip in which cut pads of filtration medias can be cut and installed. The pad holding frame system is ideal for use in high moisture applications where a cardboard frame may fail, or alternative as a cost saving exercise offering a future requirement of filter pads only rather than having to purchase complete cardboard panel air filters. Polyfoam Washable Panel Air Filters offer a washable panel air filter solution for use in heating and ventilation systems, air handling units and in industrial applications. 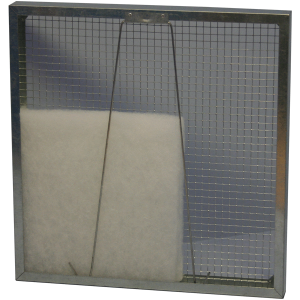 Polyfoam Air Filter Media is encased in to a galvanised steel frame to create a filter that can be repeatedly washed throughout its life. 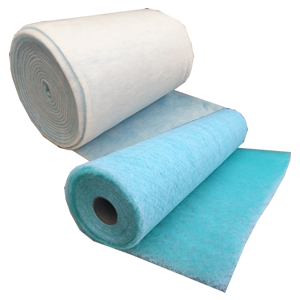 Polyfoam Washable Filters offer a filtration grade comparable to G4 to EN779, and are available in thicknesses of 22mm and 47mm. 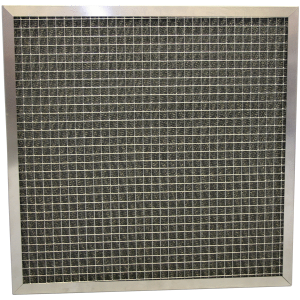 Metal Washable Panel Air Filters are manufactured from Galvanised Steel, or Stainless Steel entirely with a knitted wire filtration media that offers a coarse grade of filtration to G2 to EN779:2012. 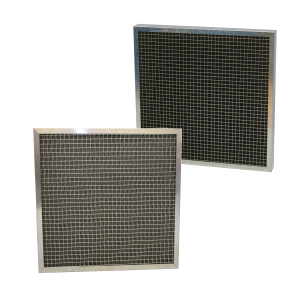 These panel air filters are commonly seen a primary filtration for the removal of large particulates in HVAC systems, air handling units, or in industrial and workshop applications. Rod Framed Filters or Fan Coil Filters as they are often known offer a very thin air filter of only 5/6mm. A synthetic filtration media is sewn or stapled to a wire frame to produce a thin low grade air filter meeting a grade of G2 to EN779. These panel air filters are often seen in duct mounted inline housings to protect fans, or in fan coil heating and ventilation units. Panel Air Filters are manufactured in three standard depths of 22mm (1 inch), 47mm (2 inch) and 97mm (4 inch) with each depth offering a variation of airflow capacities, dust holding capacities and pressure drops. 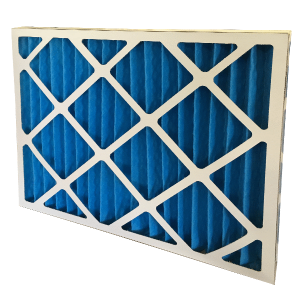 Standard filter face sizes for each style of Panel Air Filters can be found on each individual product page along with their rated airflows and pressure drops. 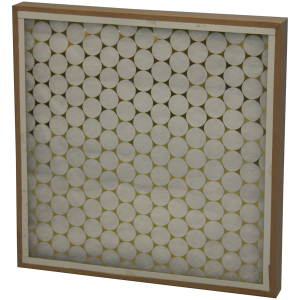 Airclean specialise in the manufacture of Non Standard Panel Air Filters, and are able to quote you with no minimum order requirements. For Non Standard prices please contact the Sales Team. As an Air Filter manufacturer, our Panel Air Filter lead times can vary, but generally we will aim to have your filters delivered within a maximum of 5-7 working days. For an accurate lead time, or if you have an urgent delivery requirement please contact our Sales Team.